Michel Hazanavicius must think he’s living in a dream. Tonight the Directors Guiild of America awarded him Best Director of a feature Film for “The Artist.” He beat Martin Scorsese and Alexander Payne. His silent black and white film, unveiled in Paris a week before last year’s Cannes film festival, is now headed to win the Academy Award next month. Sacre bleu! But those of us who saw it then knew from the start– that when Harvey Weinstein bought the film and it won the Cannes audience prize, the deal was done. Weinstein would follow his “King’s Speech” win for a second year in a row. It’s an amazing feat and well deserved. 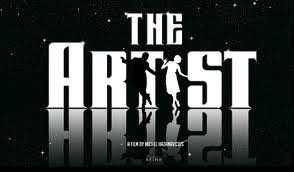 “The Artist” is almost an instsnt classic. Now the only questions are whether its actors will get pulled along with the momentum. Of the two, Jean DuJardin and Berence Bejo, I’d say the latter has the best chance statistically. And then of course there are always the write-ins for Uggie the dog.